Make these alluring raw crystal earrings your new wardrobe staple! 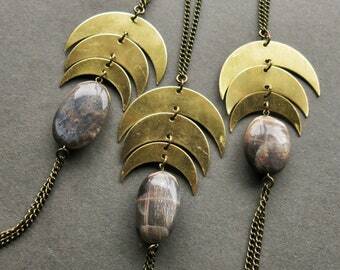 Simple and stunning, these versatile beauties will look dazzling with anything in your closet! 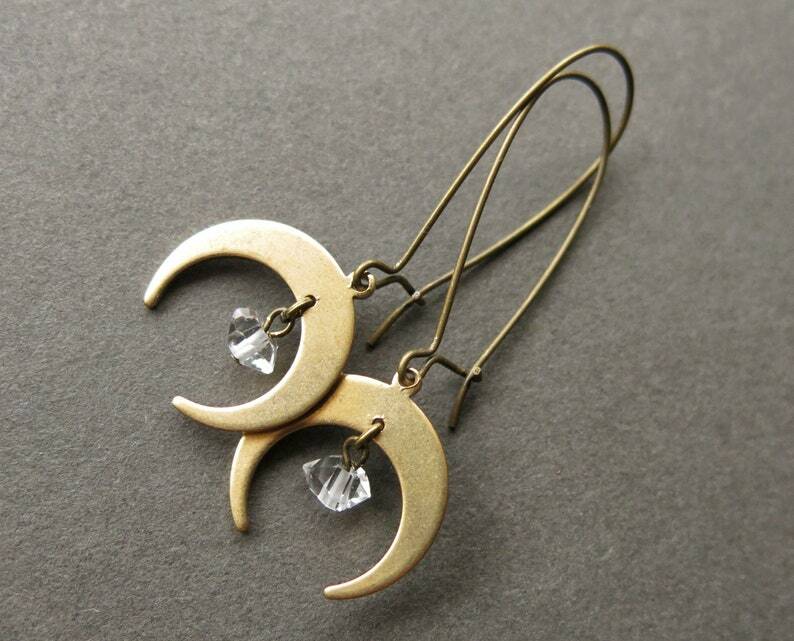 Each pair of our crystal moon earrings is naturally one of a kind and hand made to order. Please allow 1-2 weeks for production. If you have a specific deadline, please let us know and we will do our best to accommodate you! 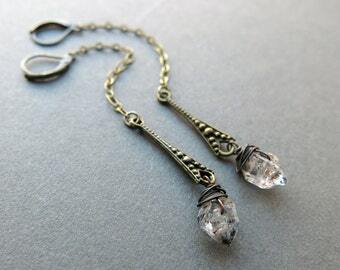 The name “Herkimer diamond” comes from Herkimer, New York, the first known location to produce this style of quartz. 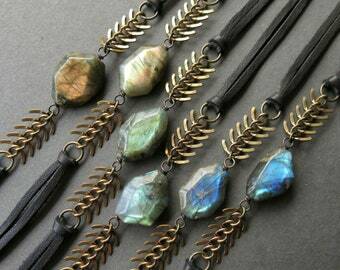 Similar deposits have since been discovered in the Himalayan mountains of Tibet, which is where we source the crystals for these necklaces. “Diamond” refers to the lovely natural clarity and double-pointed form of this style of quartz crystal. This double terminated shape is thought to amplify the energetic qualities of the crystal, making these little beauties real powerhouses for crystal ritual. Perfect weight, I love the back closure so they do not fall out of my ear. So happy with these! Love these earrings, thank you so much!